For the past three weeks I’ve been hard at work completing my final assignment for the academic year. After this, I start working on my research proposal for my Master’s Degree. The final assignment was to create a website on any educational topic. I decided to create Chinese Basics: a website that will teach you all the basics of the Chinese language. Think of it as a crash course into the world of Chinese. Besides that you can read up on all the topics that make Chinese unique. I'll keep the site online indefinitely and maybe improve some of the online exercises. It was actually really fun creating them! I know there are some issues with them, but it'll put that onto the "work on that later" list. There may also even be some language typos and awkward constructions. 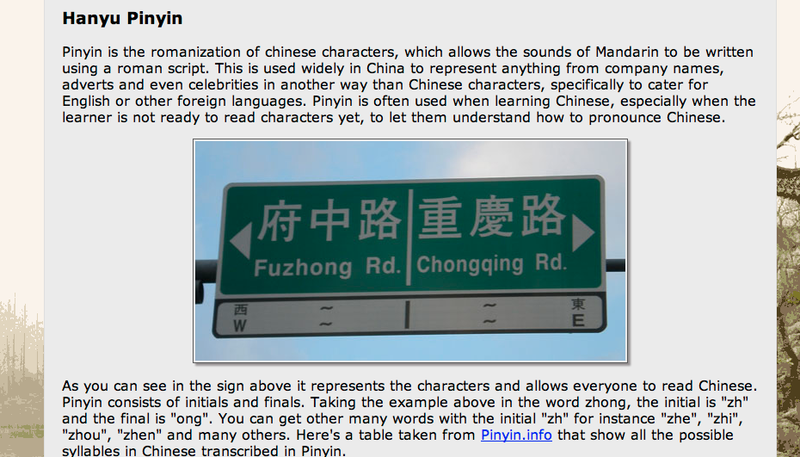 Anyhoo, enjoy the website and recommend it your friends if they want to know more about the Chinese language!